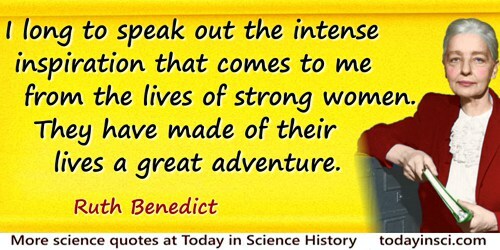 I long to speak out the intense inspiration that comes to me from the lives of strong women. They have made of their lives a great adventure. Diary entry (Jan 1917). In Margaret Mead, An Anthropologist at Work: Writings of Ruth Benedict (1959), 140.